Special Design: This is an ergonomic design, this headset is not easy to fall off, comfortable to wear, suitable for business people or drivers, it will become your best working partner. 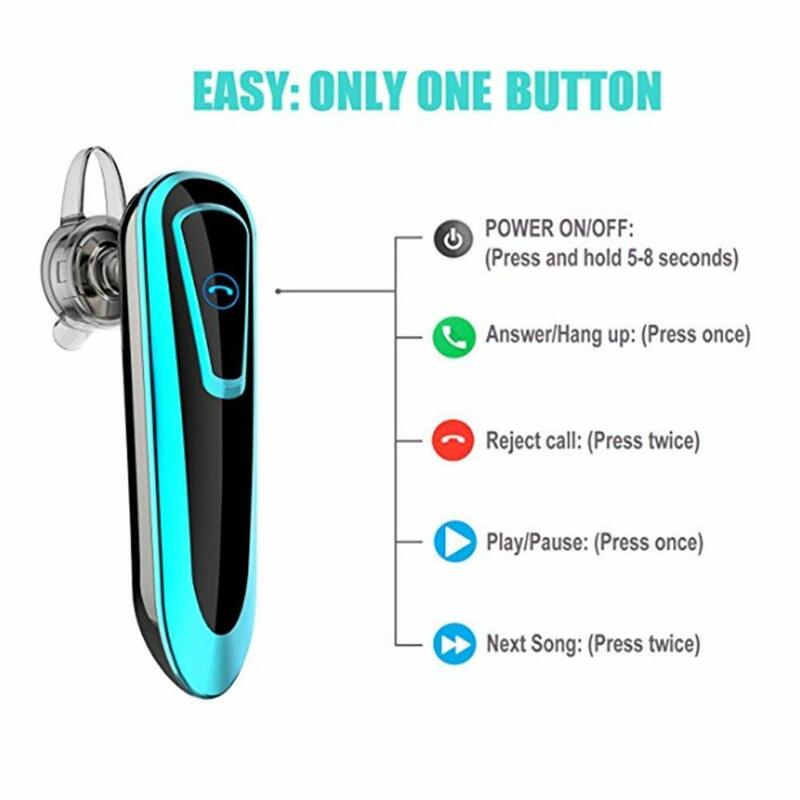 High-definition sound quality: Bluetooth headsets made with professional noise cancellation technology and microphone angle, no static noise, simple operation, one-button design, headphones with a multi-function button can control all functions: power on/off, music play/pause, Answer/reject the phone. Bluetooth 4.1 Wireless Headset: Bluetooth 4.1 technology + CVC 6.0 noise cancellation, high fidelity, natural stereo sound, and superior sound and powerful signal, even if it is 10 meters away from the device, it is still stable, providing an impressive Dynamic sound. High compatibility: Pairing with iPhone, iPad and other smartphones, tablets and other Bluetooth devices is quick and easy. It can connect two Bluetooth devices at the same time, allowing automatic connection after the first successful pairing. Long-lasting battery life: Built-in high-backup lithium battery 260MA high-capacity polymer, more than 24 hours talk time, 1000 hours standby, enjoying music streaming and hands-free earplugs throughout the day. 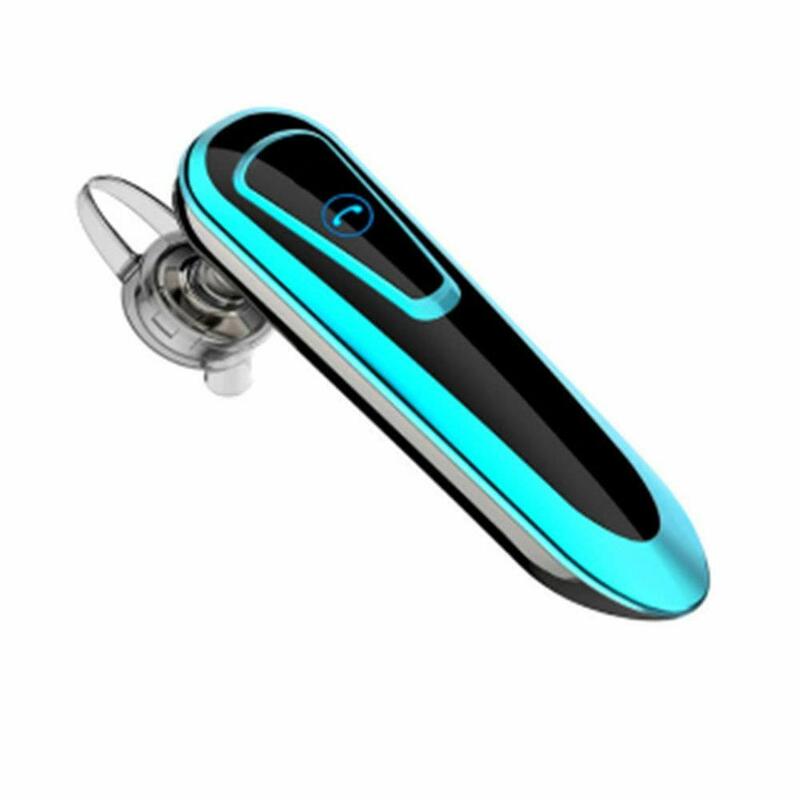 Stereo Bluetooth headset for wireless music and calling functions. 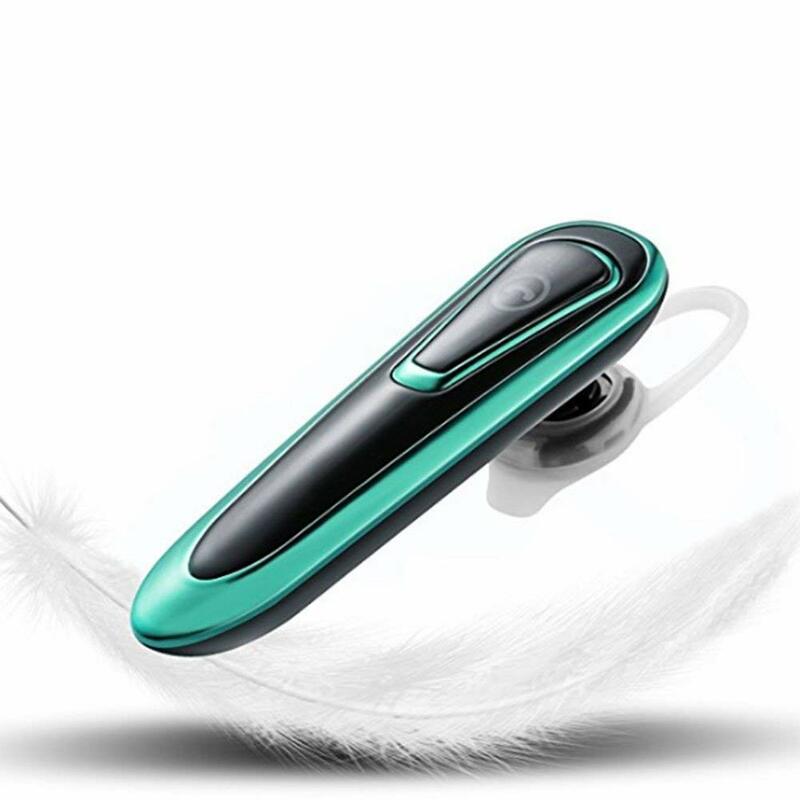 M20 smart Bluetooth headset supports voice number, support “YES” and “NO” voice response, reject, support dialing redial function, support 1 mobile 2 connection of two mobile phones, dual channel stereo (MIC interface headset plug, USB) can enjoy High-definition sound, perfect sound quality.